Bead with shape of Celtic triquetra. 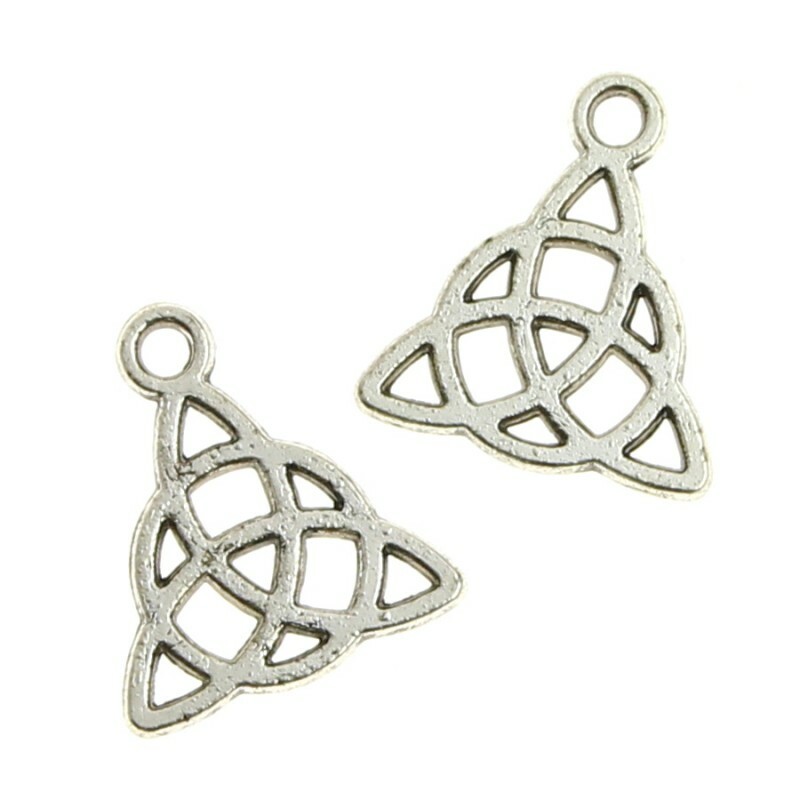 This Celtic triquetra charm is ideal for mounting necklaces, bracelets, etc. 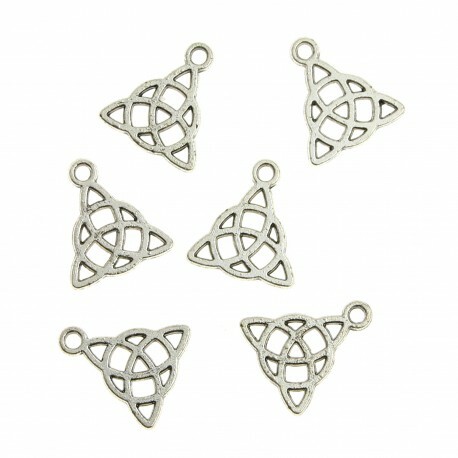 This is a draft bead, made of zinc alloy in antique silver color. Its measures are: 15 mm x 16 mm. It has a hole of 2 mm diameter. Each bag contains 10 pieces. The price is per bag. Prices are displayed as retail prices (including 21% VAT). Calle Pintor Murillo, nº17 bajo - local. Ondara - Alicante - España.